The board outside the Main Theatre (MT) at my alma mater Film and Television Institute of India serves the purpose of announcing the daily screening at MT and National Film Archives of India, which is associated to the Institute. 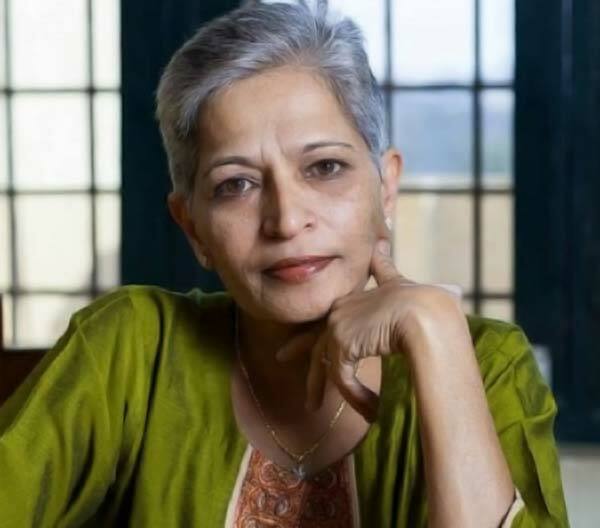 Last week, it carried an announcement about the condolence meeting for Gauri Lankesh. Under the Wisdom Tree, around four years ago, we had gathered to pay tribute to Narendra Dabholkar, who was murdered just a couple of kilometres away from the campus. Gauri Lankesh, to me was Captain. I fondly called her so. Captain had many concerns. It included Kashmir too. One day in April 2017, around midnight my phone rang. Though my heart skipped a beat when the phone rang at that ungodly hour I relaxed seeing the name of Gauri blink. Then, I suggested to read Do You Remember KunanPoshpora? By the end of May she had read the book. From October 2016 onwards the conversation between Captain and me were majorly around Kashmir. It all began on October 9, when Captain was in Udupi, close to my home town Manipal, for the historical Chalo Udupi rally. I had just returned home after a brief but intense J&K visit. So when Captain and I met at the rally she insisted I be with her and share with her my J&K experience. That noon when we were finishing lunch Captain asked me if I would be ready to go to Kashmir with Shivasunder, a comrade of concern, to do a series of reports for the weekly, Gauri Lankesh Patrike. I immediately agreed. Shivasunder, I must remember here, earlier in 2010 in his columns for Gauri Lankesh Patrike had written about the uprising in Kashmir, taking a position which no other Kannada media would allow within their space. But with Captain as the editor, all voices of dissent found space without fail and all voices that spoke of the tyranny of state and system. If Sheila Rashid, who referred to her as Amma (mother), lost her cool at the protest organized by JNU in Delhi against the murder of Captain, with a particular media house which not only bats for status quo but also maligns those who question, it is understandable because with the murder of Captain the space for truth in media has shrunk, at least in the context of Kannada media. But I did not hear from Captain about Kashmir plans for the next few months and I started doubting if it was ever going to happen. Though I never doubted her concern about Kashmir and her longing to give her readers a true picture of Kashmir, I was becoming quite impatient over the delay. Later when Captain called me in April saying she had read the two books, I knew the plan was still on. But by then I had heard from a common friend and a senior activist that demonetization had hit the circulation of Captain’s weekly and she was in a financial crunch. That information made me realize why the Kashmir plan was not materializing and I stopped asking her about it. Now Captain is no more physically and I fear with her the weekly also breathes last with this unfortunate incident. With that neither the visit to Kashmir nor reporting of Kashmir for the readers of weekly will ever happen. On that night of April when Captain called to tell me she had read Curfewed Night she had asked me if I could translate the book and assured that she will publish it. When I told her that during my interaction with Basharat Peer I had asked him if I could do the translation and he had verbally permitted, she took his mail id from me saying, “Then let me write to him as a publisher and take the rights.” I don’t know if she ever wrote to Basharat Peer. But this too, like our Kashmir visit and writing about Kashmir for the readers of her weekly, remains unfulfilled. I recollect these interactions, jointly made plan and unfulfilled plans while writing because I think I have the responsibility of letting the friends from Kashmir know that Captain, who stood in solidarity with every struggle, across globe, of the right against the might, understood the struggle of Kashmiris and also longed to meet them hear their stories and chronicle them for Kannada readers.